We go to trial and deliver big awards. With three partners we have achieved over 80 results of 1 million dollars or more. Are you an attorney? Perhaps you’re working with a client who could benefit from our experience. 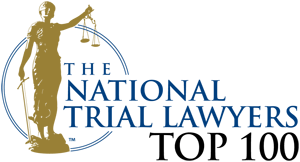 Roger Booth has been selected as one of the Top 100 plaintiff’s attorneys in Southern California by the National Trial Lawyers. Roger Booth has received a 10 (out of 10) rating by Avvo, a nationwide legal directory. Roger Booth has both been selected for the National Association of Distinguished Counsel. This honor is limited to the top 1% of attorneys. Richard Koskoff and Roger Booth have both been named "Super Lawyers" every year since 2009. This honor is limited to the top 5% of attorneys.